Here’s another photo from the start of our journey to the favela yesterday in the UniRio van. From left to right, you’ll see Liz Raynes, Jodie Lawston, Sarah Thompson, and me. After I posted my reflections on yesterday’s adventures, I received a very thoughtful email from Sarah, adding her impressions of what we saw in Maré (and teaching me how to add accents to words in my blog posts!). Sarah has been a real gift to us on this trip because as a recently graduated Latin American Studies major from the University of Michigan (Way to go, faculty at LACS and the Brazil Initiative for doing such an excellent job of training students! ), she speaks excellent Portuguese and is on her third trip to Brazil. She has been serving as translator for those of us with limited language skills, and she knows a great deal about local customs and culture, including practical things like how and where to catch the bus. As you will shortly see from her comments on our time in Maré, she is an excellent critical thinker with much compassion and insight. Anything I’d add would be about the idea of Crossing Rio and combining the two cities, the South Zone (where we are) and the North Zone (where Maré is). As a student of urban development, I found it fascinating to learn that that was the focus of the previous art exhibition, as well as the proposed theme of the play at the end of the year [devised by the children in the second workshop we saw, the one at the Centro de Artes de Maré]. Particularly poignant was how this linking of geography through the barriers of socioeconomic class, quality of life, and so many things also came through the lens of using history, linking past and present. I think I already commented to you about this a little but but I found it so great how they were using the past, like the case of the Revolta da Vacina [one of the historical events featured in the second workshop’s play], to make the children reflect on, and think critically about, the protests today. There were tons of moments like the girl saying that she just submitted herself to the power at the expense of her friends without thinking. I saw it in that group but even in the children’s group [at the third workshop in the hospital]– part of the protests have been against Rede Globo, the media monopoly, and by using the newspaper clippings and ending with a discussion encouraging the kids to take liberty with their scenes and use the facts to build a story, pointing out this is what the media does anyway, is a really subtle way to get them thinking politically. And about their own role in the story. It seemed to all be about making sure the residents of Maré, who like all favela residents have been told by the government for generations that they are off the grid, a blemish on the city of Rio, making sure that they understand how much they are a legitimate part of this world, significant in quantity and perspective. So cool. Thank you, Sarah, for these reflections! More on our time in Rio soon! A group of us are going tonight to see a production of Chekov’s The Cherry Orchard in Portuguese! Children with an incarcerated family member have little choice about whether or not they will be able to maintain meaningful and regular contact with an imprisoned loved one. The adult(s) who raise that child in the absence of incarcerated family members get to make all of the decisions and bear the many burdens of enabling a child to build relationships with his/her incarcerated relative or of choosing to keep that child from the person behind bars. Either way, these adults inevitably struggle emotionally and intellectually (and almost always financially) with the many convoluted difficulties of parenting a child whose life is shaped by incarceration. 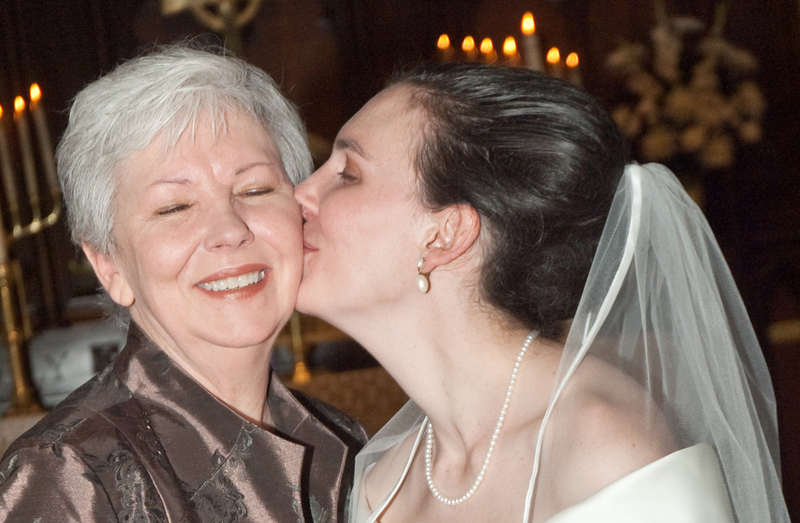 This Mother’s Day I pay tribute to all moms and grandmothers (biological, foster, adopted, or otherwise) raising children of incarcerated parents. My mother never dreamed that she would one day be a prisoner’s wife. My father’s incarceration came as a shock to our entire family–one that we are in some ways still reeling from seventeen and a half years later. Our family was economically devastated by the legal battles we waged for years before my father’s conviction, and my mother had given up her teaching career when I was born so that she could stay home to raise me. With my father gone from our home, she had to return to work and became the sole breadwinner for our family. I was fifteen years old and very frightened and disoriented by the radical changes in my life. My mother was certainly overwhelmed, confused, and bereft, but she dedicated herself to raising me and to enabling my father to continue to raise me from inside prison. For my remaining years of high school, she drove me once a month eight hours in each direction to and from the prison. 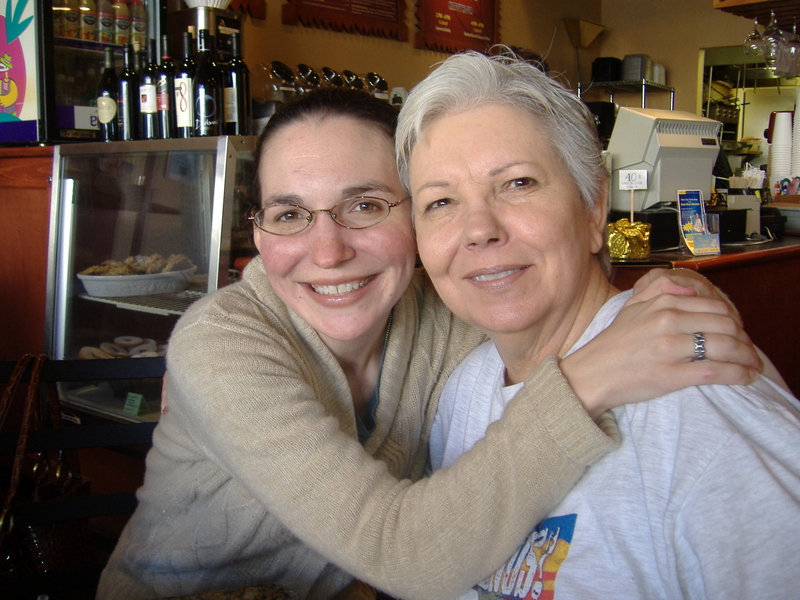 She bought me stamps and stationary at every gift-giving holiday and helped me to scour craft stores for rubber stamps and ink pads to decorate my daily letters to my father. She photographed practically every moment of my senior year of high school so that my father could see all that I was doing. When I was accepted to Yale University and considered declining their offer, she convinced me that I had to take this opportunity, though it meant leaving her alone and not being able to visit either of my parents more than twice during the school year. She helped me send back my financial aid package three times until they finally gave me enough scholarships and loans to make my tuition affordable, and she went further into debt herself to make sure I would be able to complete my undergraduate education. She made me see that living each of my days to the fullest would ultimately be a greater gift to both her and my father than my staying home to be near them. In the beginning, we understood nothing about how prisons operate, what my father’s days looked like, which of our fears were overblown, and which things we had not yet learned to fear. My mother faced the challenge of not just figuring these things out for herself but also of finding ways to explain them to me. She bears my suffering along with her own and never complains about the burdens I have given her to carry. Together we learned this world of visits and lawyers and collect phone calls and the nightmares we do not name. She taught me to pay attention to what the people around us also endure, to talk to the other families in the visiting room and listen to their stories. She made me realize that we are not alone in this experience and that in many respects we are much more privileged than most. One day when we were driving away from the prison, my mother stopped on the side of the road to pick up a woman who was walking down the dirt road into town. She had obviously just had a visit at the prison, too. She had no coat on that cold day, but she wasn’t hitchhiking, just walking home. My mother drove her ten miles to the shabby house where she rented a room, and in the course of that car ride the woman told us that she had moved to this dusty little spot in the middle of nowhere Texas just to be near her husband in the prison. Her whole family was in Oklahoma, and she couldn’t keep more than a part time job because of her disabilities. She volunteered at a nursing home and walked the ten miles to the prison and back once a week. She didn’t own a car, and the soles of her shoes were worn thin. For months after that, every time we went to the prison, my mother scanned the road for that woman and always asked my father for any news he had of her and her husband. My father contacted a prison ministry group who visit the prison and asked them if they would help find a coat and rides to and from the prison for this lady, but we never knew if any of the prison ministry folks ever caught up to her. My mother watches all the families we see in the visiting room and is so grateful when she finds a way to help one of them, mostly in the form of information or advice about the prison system. She works as an administrator for a public school district, and often teachers will send kids to talk to my mother about what is happening to their incarcerated siblings, parents, or uncles. She joined a prison ministry team at her church and helps folks coming home from prison navigate their new lives. My mother always encouraged me to speak my mind and to have no shame about my father’s incarceration. Her faith in me and her support of my scholarship and performance work enabled me to write my play Doin’ Time. When I performed at the women’s prison in Dublin, Ireland, my mother came with me. During the post-performance discussion, the women in the prison seemed even more moved by my mother than they had been by my play. They were in awe of her support of my work, and many of them felt that their own families would not have wanted them to speak publicly about incarceration because of how its stigma reflects on them. My mother’s pride in my work moved them to tears, and many of them wanted to shake her hand or hug her after the show. I hesitated to get engaged to my now husband, long after I knew I wanted to spend the rest of my life with him, because I couldn’t bear the thought of my father not being present for my wedding. When the time came, my mother walked me down the aisle, gave me away, and sat next to a beautiful sign she had made, which stated that that seat was reserved for my father and the many other incarcerated people we love who could not attend the wedding. She has never tried to replace or ignore my father’s presence in my life, and she always finds a way to honor him and the love we share. My mother gave me my relationship with my father after he went to prison. If she had not accepted his phone calls, taken me to visit, encouraged my letter writing, I would not have continued to know him as well as I do now. The prison has taken much from each of us, but it cannot take our family; my mother wouldn’t let that happen.